included surrounding sight sign -Vehicle Transportation -hotelsGovernment service tax extra. Any Air or train fare. Monument fee / Camera fee. Any Increase/Changes in the taxes levied by Govt. Arrive Delhi, proceed to Pangot (Near Nainital). Check-in to your hotel and freshen up. 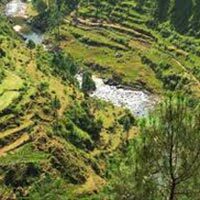 The Kumaon hills are known for their idyllic beauty – mountains silhouetted against the sky, streams rippling through the silence of forests, and placid lakes reflecting the changing panorama of nature. In the evening, enjoy. Overnight stay at Nainital. After breakfast, Full day is at leisure to explore the hill retreat of Nainital. Visit Mall road, Boating Club, Cable Car Ride, Thandi Sadak, and Lakes(Sat tal, Naukuchiatal etc). It is blessed with scenic natural splendour and varied natural resources. 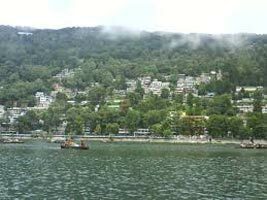 Dotted with lakes, Nainital has earned the epithet of 'Lake District' of India. Later back to hotel, Rest of the day free at leisure, overnight stay at hotel at Pangot. 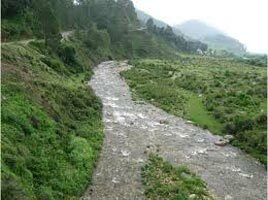 After Breakfast, drive to Binsar - A small town in the state of Uttarakhand and is located amidst dense green forests. 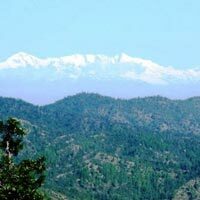 It is famous for the Binsar Wildlife Sanctuary. 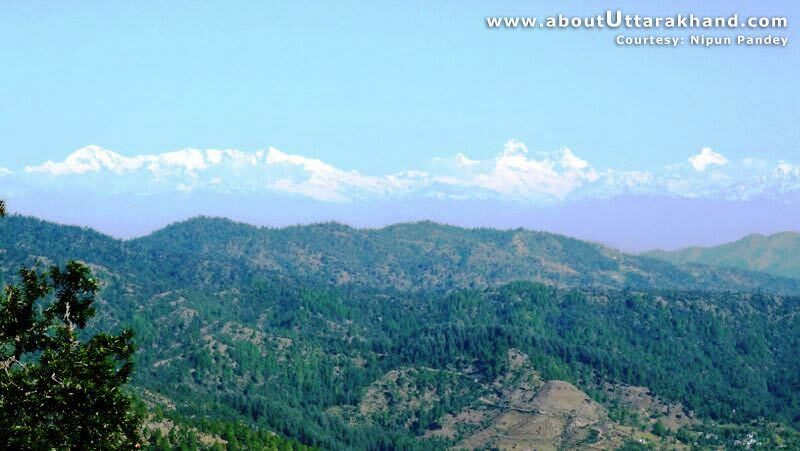 Located on the Jhandi Dhar hills of Kumaon. 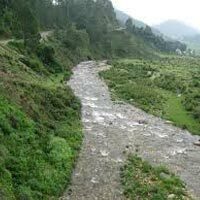 The place is known for its greenery and is surrounded by virgin forests of oak, rhododendron, pine and deodar all around. The main attraction of the town of Binsar is the wildlife sanctuary. The sanctuary covers an area of 45.59 sq km and has a wide variety of flora and fauna residing in. It is believed that over 200 varieties of birds are found in Binsar along with animals like deer, leopards, Himalayan bears, monkeys, foxes, flying squirrels and many others, making it a popular destination for wildlife enthusiasts. heck in Hotel. 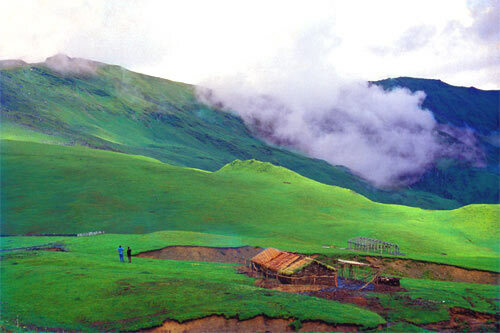 Later afternoon proceed to explore the unspoiled flora & fauna of this beautiful hill station. Dinner and overnight stay. After breakfast proceed on a sightseeing tour of Binsar. Go to Zero Point from where you get a 300 kilometer view of the majestic Himalayas. You can see peaks like Kedarnath, Shivling, Trishul and the famous Nanda Devi Peak – at over 25,000 ft, it is the second highest peak in India. Also visit the Binsar Mahadev Temple - nestled in pristine imalayan surrounds, it is sure to captivat you by its mystic charm. Arrive Delhi, drive to Corbett. The park was Arrive Delhi, drive to Corbett. 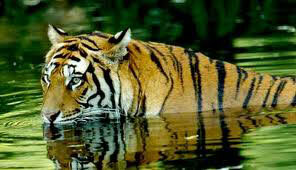 Early morning you can enjoy safari (At additional cost) inside the Wildlife Sanctuary for your tryst with the big cats. Elephants are also available for dense jungle safaris on a first come first serve basis. Those interested in ngling can try hooking the mahseer fish for sport. Birding treks and horse safaris are also exciting options for the enthusiasts. Later drive to Lansdowne, Check in Hotel. Overnight stay. Lansdowne was originally a popular hill station with the Britishers. Attracted by its salubrious climate and natural beauty, they established a cantonment here. It was founded by Lord Lansdowne in 1887 A.D., thus the place has been named after him. The famous Garhwal Rifles on the Indian Army also has its command office here. Surrounded by thick Oak and blue Pine forest. It is a very charming place for a quiet holiday as it is devoid of the usual hustle and bustle of hill stations. Visit Lansdowne sight seeing. Dinner & Overnight stay. Destinations Covered : New Delhi, Mussoorie, Haridwar, Nainital.. Copyright © 2012 Akshar Holidays. All Rights Reserved.